We have been praying for a rainy fall day for while just so we have share the joy of today's Shoe of the Day. 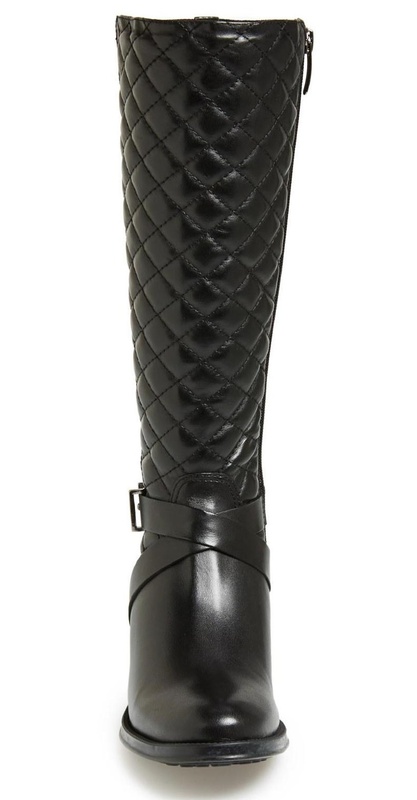 Today we share the André Assous Seabiscuit Waterproof Quilted Boots, a gorgeous quilted boot from the footwear designer's H20 Collection, a range of stylish chic, city-ready chic weatherproof boots and shoes that provide high-end style, comfort, and protection from the elements. 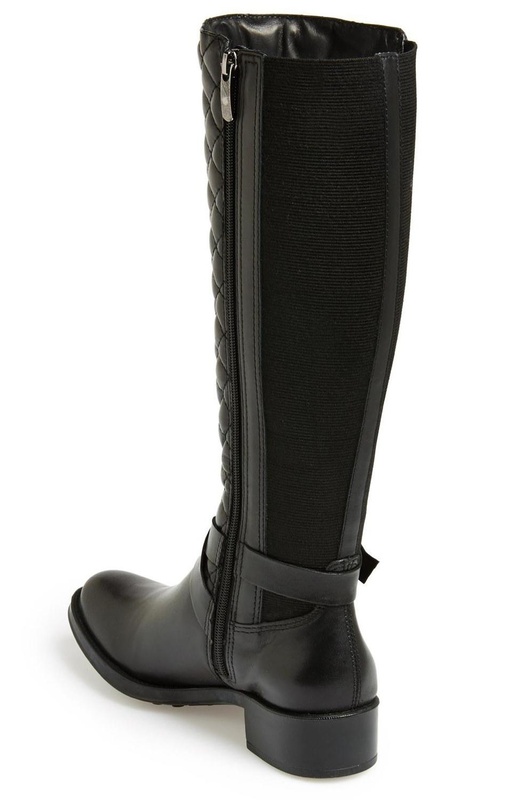 We love this modern classic riding boot for so many reasons, one of which is of course it's stunning silhouette, but it offers so much more. 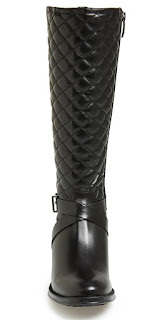 We're totally enamored with its sophisticated quilted leather front panel (which is completely waterproof), it's stretch back panel that anyone with big or muscular calves (damn our high school track career) can attest is a godsend for a superb and custom fit, its criss-cross buckled ankle strap, beautiful inky black hue, and its very comfortable (and on-trend) 1 1/2" block heel with 1/2" platform. Did we mention its also available in wide width? 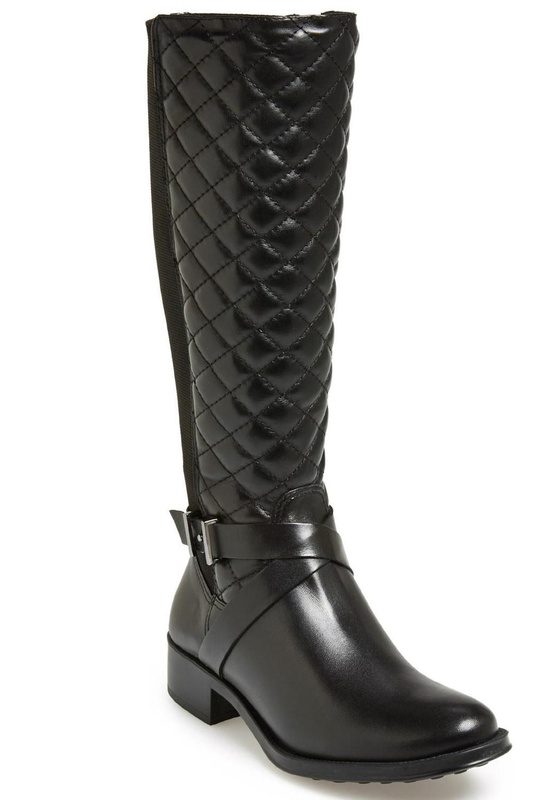 You'll welcome the rain, sleet, and snow in these statement boots. Get the André Assous Seabiscuit for $278.95, 20% off their regular price at Nordstrom.com now.